Professor in Criminology, Centre for Applied Criminology, Birmingham City University. Director, Centre for Applied Criminology, Birmingham City University. Islamophobia; anti-Muslim hate crimes and racism; online hate speech and extremism; social media and hate crimes; policing the far-right; preventing far-right and Islamist extremism; the Prevent policy; counter-extremism and counter-terrorism legislation and policies; criminal and offending behaviour and understanding victimisation. Third sector/charity engagement; Continuing Professional Development (CPD) courses and workshops; government consultancy; live / pre-recorded media interviews (including print, online, radio and television); and editorials. Dr Imran Awan is one of the country’s leading criminologists and experts on Islamophobia and countering extremism. Imran’s research examines the impact of crime, Islamophobia, hate crime, Islam, security and extremism. Imran has been appointed, as an advisor to the British Government on anti-Muslim hatred, based in the Department for Communities and Local Government. Imran’s role is to act as an advisor to Government on anti-Muslim hatred related issues. The Government’s Cross Working Group was set up by the Deputy Prime Minister. 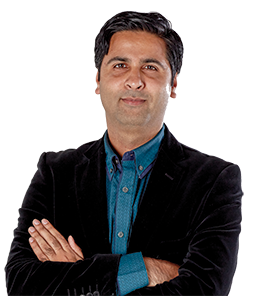 Imran is passionate about criminological research and uses his extensive research knowledge to inform practitioners and policy-makers on effective measures in tackling some of the most important issues our society faces today. He has presented written and oral evidence before the Home Affairs Select Committee, the All Party Parliamentary Group on Islamophobia, the APPG on British Muslims, for the Muslim Council of Britain and for the Runnymede Trust. His interdisciplinary research has led to multiple publications in several other areas of the social sciences, including in leading academic journals, in sociology, ethnic studies, policing and ethnography. He has also published several reports for high profile organizations that tackle Islamophobia including the report – We fear for our lives: Online and Offline anti-Muslim hostility for the third party reporting organisation, Tell MAMA. Imran has published over 50 academic papers, articles and books in leading journals and publications across the world. His paper published in the leading journal for the analysis of race and ethnicity, Ethnic and Racial Studies is among the top 5% of research outputs ever tracked by Altmetric and continues to be internationally cited. Imran is an advisory board member for the International Network of Hate Studies. His new book, entitled: Islamophobia: Lived Experiences of Online and Offline Victimisation is published by Policy Press. Imran has also commentated on major news issues in relation to his specialist area and his research has been featured on major factual news programmes such as BBC News, ITV Central News, Al Jazeera English, BBC Radio 4, BBC Panorama, Channel 4 Dispatches and Channel 4 News, to name but a few. He is a blogger for the Huffington Post and has also written a number of articles in the area of crime and society for the Guardian, the New York Times, the Huffington Post, the Independent and the New Statesman.